Beth O’Brien is one of the co-founders of Colony American Finance (“CAF”), the leading specialty finance business focused on the residential real estate investor market. CAF offers term products of 5, 10 and 30 years for stabilized rental portfolios, and shorter term products to aggregators and investors looking to rehab and sell. 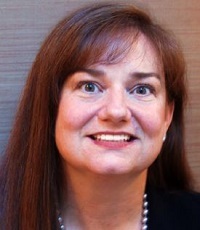 Prior to joining CAF, O’Brien was executive vice president at Auction.com, where she ran the company’s residential capital markets division and set the financing strategy for the platform. In that capacity, she managed more than $2 billion in single-family and multifamily loan sales and multiple financing partners. She also founded AuctionFinance.com, a proprietary private lender geared at the investor market. In her two-plus decades in the industry, O’Brien has also held positions at Citigroup Global Markets, the Goldman Sachs Whitehall Funds and Latham & Watkins.